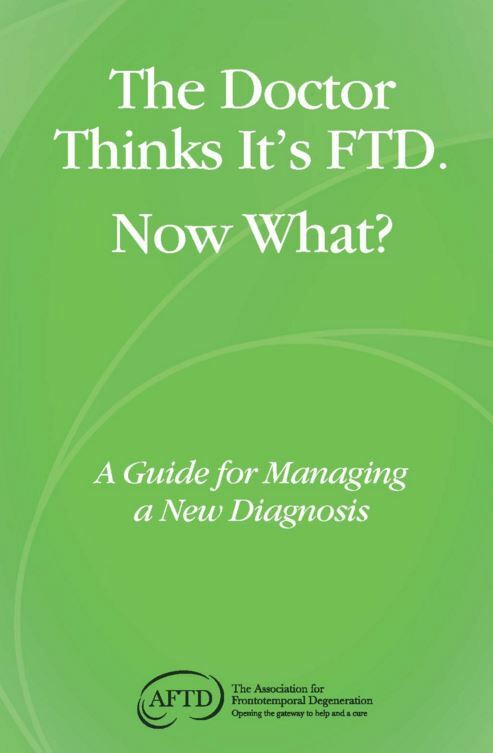 Visit the AFTD Newly Diagnosed page on their web site for guidance and access to a booklet – A Guide for Managing a New Diagnosis – The Doctor Thinks It’s FTD. Now What? – that helps individuals with FTD and their families take a strategic approach to the diagnosis and prepare for the changes it brings.